Put a Farmer’s Market on your back porch! 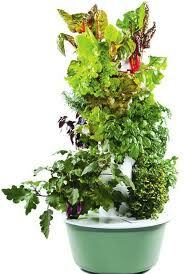 The Tower Garden® is a state-of-the-art vertical aeroponic growing system. It’s perfect for patios, rooftops, balconies, terraces – just about any relatively sunny place outside. Because it uses aeroponics, the Tower Garden’s closed-system uses less than 10% of both the water and the land that are commonly used in conventional and organic farming. No gardening experience is necessary! Gardening can be a hassle, but with the Tower Garden® being soil free, there’s no weeding, tilling, kneeling, or getting dirty. Assembly is easy, plus it comes with everything you need to start growing. Each tower holds 20 plants and can grow almost anything you like, including tomatoes, lettuce, basil, peppers, spinach, beans, cucumbers, melons and herbs, in less time than it would normally take in the soil. 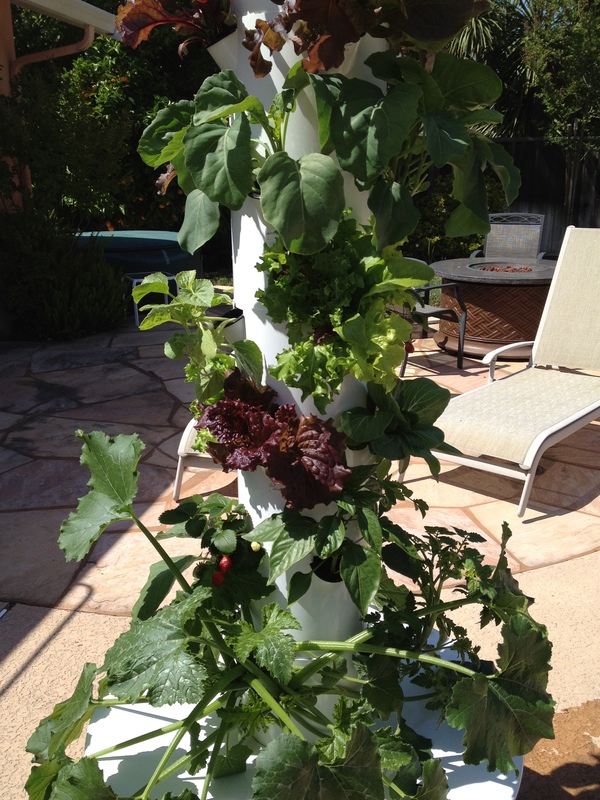 The Tower Garden helps you eat more fruits and vegetables by letting you grow delicious vine-ripened produce right outside your back door. A garden that’s healthier for you and the environment! This is my Tower Garden at day 28! I’ve been enjoying salads with the four varieties of lettuce growing, along with cilantro, spinach, Chinese kale, baby bok choy and strawberries. I’m also growing cucumbers, tomatoes, eggplant, zucchini, and yellow bell peppers. For more information about the Tower Garden®, ordering one, or the option of paying for it in 12 monthly installments, click here.